When you think of a versatile vehicle, you probably consider cargo room, seating arrangements, options, and engines. No matter how you define versatile, the Ford Focus will fit the bill. As a bonus, it is efficient, fun to drive, and safe, with a range of available advanced safety and driver-assistive features like a blind spot information system, active park assist, and lane keeping system. A key way that the Ford Focus is versatile is the vast array of options and configurations. There are eight models available, including the sedan and hatchback body style, an electric model, and a sportier model. This means that whether you want a hatchback or sedan, you will find the perfect option. The same is true of Birmingham-area drivers on a tight budget and those who want a compact vehicle with luxury features. After all, the base Focus starts at just $17,225* while higher trims offer features like 10 speakers of Sony sound, heated front seats, navigation, and leather upholstery. Even if you go with the Ford Focus Sedan, you will have a fairly versatile cargo area. The trunk itself is 13.2 cubic feet, but the rear seats split 60/40 and fold so you can easily access this space or expand it to fit long objects. For true versatility, pick the Focus Hatchback. Even with the rear seats upright, this model gives you 23.8 cubic feet to fill with groceries or anything else. Folding them down increases the cargo area to 44.8 cubic feet. Because of the range of engine options, the Focus is also versatile enough to maximize efficiency or power, or to strike a balance between the two. Those who want efficiency will love the Focus Electric or the 1-liter EcoBoost turbocharged engine that gets up to 35 mpg combined** and 42 mpg on the highway**. 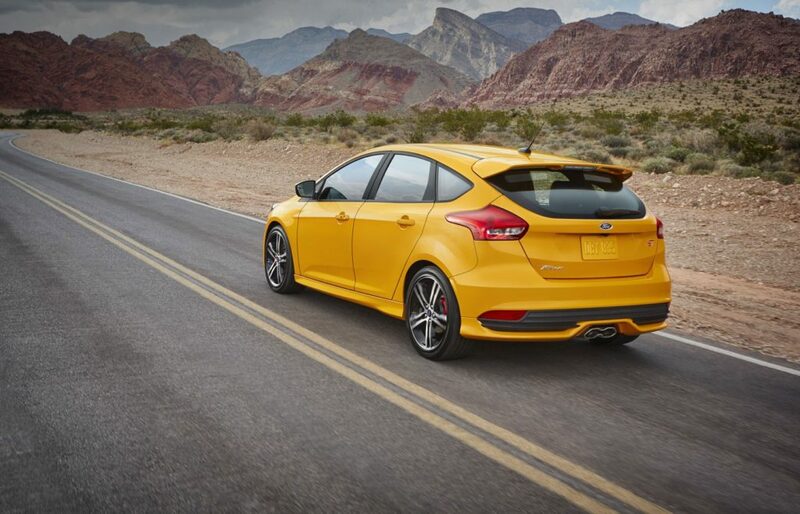 Or you can drive the Focus ST with its 252-horsepower 2-liter EcoBoost engine. For those who want the best possible power, the Focus RS has 350 horsepower from its 2.3-liter EcoBoost engine. Learn more about the incredibly versatile Ford Focus at Long Lewis Ford. Visit our Hoover, Alabama, dealership today to get a feel for this sedan or hatchback on a test drive or simply discover everything the Focus has to offer.